I Shop, Therefore I Am: Why Retail Therapy is a thing, NOT just about Shopping. If you haven’t been there, you’ve probably heard it before. You or someone you know just went through something stressful. It could be a breakup, they may have lost their job or things can just be piling up. There you are, the comforting shoulder to cry on, and out of nowhere you hear those faithful words. “Time for some retail therapy”. At first you hesitate, but eventually you concede. After all, you’ve heard that shopping is cheaper than therapy (not really, but it’s definitely more gratifying). And, next thing you know, there you are. Talking, moving, laughing. Taking in the energy of hundreds of vibrant people. You feel energised. You feel alive. And despite wondering whether this accumulation of material items actually fixes anything, you can’t help but enjoy it. Turns out, science has spoken, and retail therapy actually does help. Go figure. Your brain is a complex, intricate, and sometimes weird entity. It craves all sorts of things- validation, acknowledgement, stability, and, most of all, control. In fact, research indicates that many who comfort shop seek the latter above all else. In your mind, it’s a logical coping mechanism. You’re able to control where you go, who you’re with and what you purchase. In situations where people are often powerless, suddenly they have the ability to make decisions. In an instant, you can exercise autonomy. You feel back in charge- almost like you again. 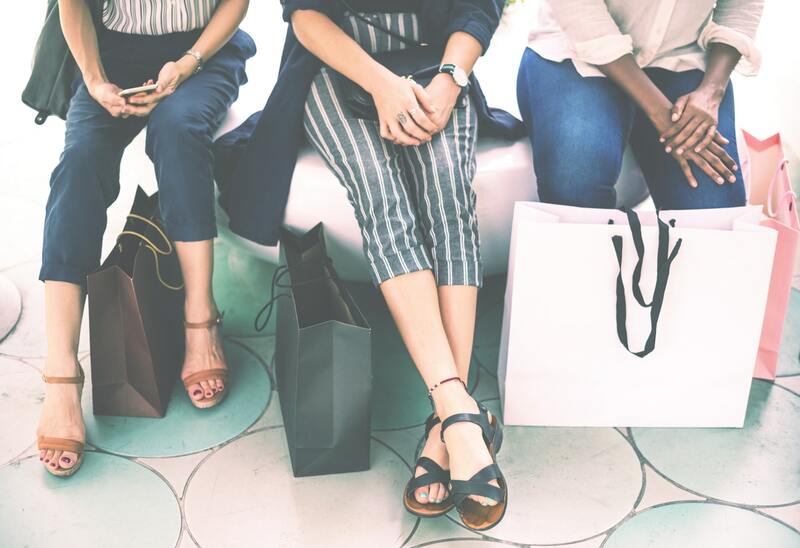 But not all shoppers are stressed, so what’s the deal? Today’s retail environment is as much about complete sensory experiences as actually buying things. As people work their way up and develop aspirations, they seek an environment that recognises this progress. Somewhere that they can feel validated and rub shoulders with other upcoming go-getters. Furthermore, humans are sociable by nature and have a natural ability to barter, making the concept of frequenting the market place literally embedded in our cultural DNA. So, we don’t just buy. We walk, we eat, we meet and we socialise. Studies have shown that people in retail environments actually feel uplifted within as little as 30 minutes of entering a busy centre. Malls are strategically designed to play on the senses by appealing to them on a subliminal level. It’s why you’ll smell perfumes or fresh food and hear funky, vibrant music. It’s why every colour is bold, every picture beautiful, and (hopefully) every assistant polite and happy. 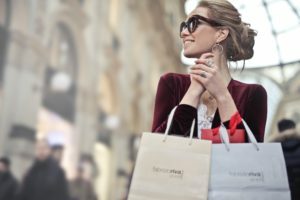 Did you know that your brain is also proven to release dopamine when making an exciting purchase? Yep. True story. Many of us tend to think ahead and picture our lives before we’ve actually bought the product. This creates feelings of excitement and expectation. By the time you’re swiping, you’re already feeling enriched and fulfilled. Shopping is a science, and one that affects your brain in ways we sometimes don’t even realise. But let’s take a step back and ask how this relates to us. At Sandton Central, we’re all about our people. This is why we boast one of the most vibrant, busy and lively malls on the continent. If you haven’t visited us, chances are you’ve heard of us. And for good reason. 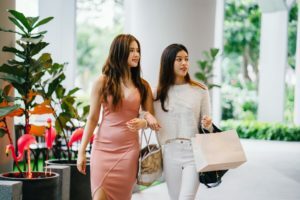 Due to the ever evolving, complicated nature of the human psyche, malls need to focus as much on its people as the products they sell. And that’s where we have the edge. 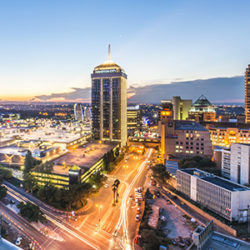 Sandton City is not just about shopping- it’s about living. We emphasise socialising, dining and relaxation as much as we do actual purchases. There’s always (and we mean always) something new to see or do within these walls. Sit back and relax with a hot cup of coffee, take pictures with our version of Madiba or taste a little bit of everything. Explore, chill, meet new people or reconnect with old friends. Try something new and, most importantly, if you are going through something, know that we’ve got your back. We’re here to make sure that no matter who you are, you always feel welcome in our home.